The sweltering heat of summer has arrived in the Philadelphia area! 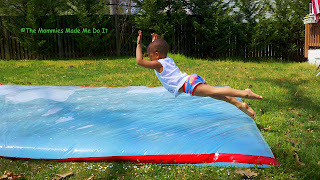 Today, I bring you Pinspiration to help you and your kids beat the summer heat. Forget regular finger painting. 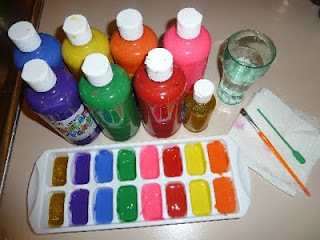 How about frozen finger painting?! This one is too cool! 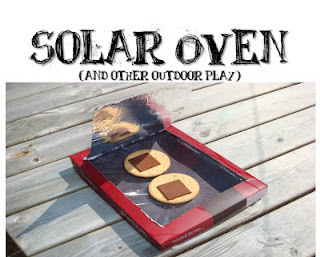 Take advantage of that scorching sun and create a solar oven. 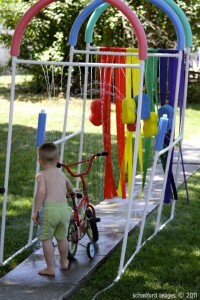 Water balloons take time to fill and the fun is over way too fast. 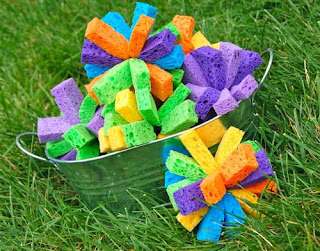 Make the party last longer with these great sponge bombs. This one almost seems too good to be true. Could it really be this easy to make a giant water bag for the kids to bounce on? Seriously, how fun does this look? Forget the sprinkler. Check this out! If you are really serious about building a backyard paradise for a hot summer day, you can’t beat this one. I would be right in there with the kids! 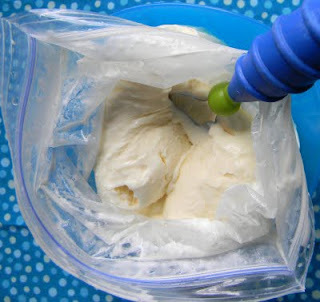 Did you know that you can make ice cream in a plastic bag? I know I didn’t. It totally works, though. The kids will enjoy making it just as much as they enjoy eating it. Don’t forget to keep yourself cool too! This is my new favorite summer drink. I have two words for you: Magical. Coffee. Kirsten is a Pinterest-loving mom from Chester County. You can read more about Kirsten’s Pinteresting adventures on her blog, 366 Days of Pinterest.